The internet has changed how people shop. People are doing more research before purchasing. And brand loyalty? It’s a thing of the past. We created this guide to help you navigate three critical steps in the new shopping journey: inspiration, research, and purchase. Explore our collection of articles, data, and insights to learn more. Whether they’re deciding to buy, learning how to use a product, or inspiring their next purchase, online video is a huge resource for today’s shoppers. of beauty shoppers said they watched a “how-to” video that used the product on YouTube for inspiration before purchasing a beauty product. of users say they discovered a new company or product when conducting a search on their smartphones. With a world of information at their fingertips, shoppers can arm themselves with information before they buy. Meeting these moments with seamless, assistive experience is the only way brands can differentiate themselves. 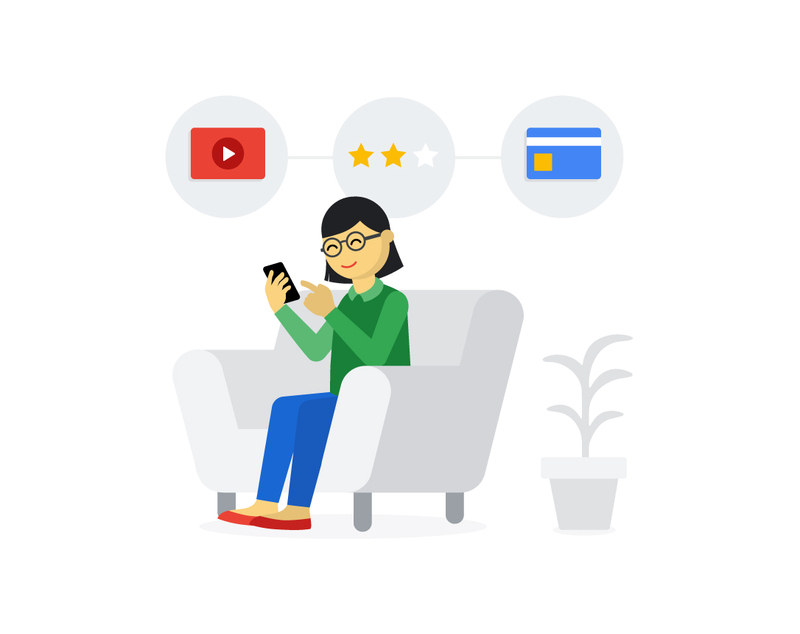 of shoppers who watched a YouTube video related to a planned purchase watched it at the start of the shopping process. Shoppers are leaning into mobile shopping — especially for spontaneous purchases and to inform their in-store trips. Thanks to the breadth and strength of resources available online, people are becoming comfortable with discovering and buying in the moment. of holiday shoppers' online purchases were made on their smartphones last season. of smartphone users are more likely to purchase from companies with mobile sites or apps that help them easily answer their questions.